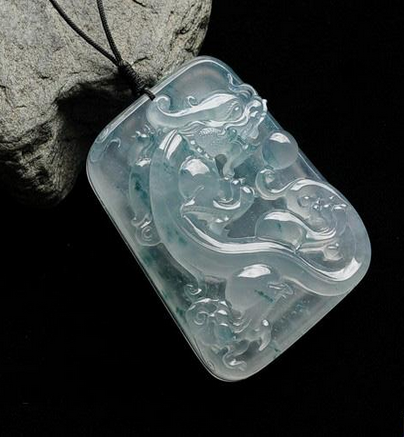 The Yiwu jade pendant in Yiwu jewelry market is selling hot, especially dragon jade pendant, because 2012 is the dragon year. Dragon for the mythical deified animal worshipped, it has the snake’s body, lizard’s legs, phoenix’s claw, antlers, fish scales, fish tail, and tiger’s whiskers beside the lip, with a bead shape in forehead. The dragon is the symbol of the nation and the royal symbol, based on the combination of a variety of animals; dragon also became the totem worship signs of primitive society. Yiwu jewelry market not only have dragon jade pendant, if you need other Yiwu silver, diamond, you also can find it in Yiwu market. Yiwu jade pendant is on 2nd Floor, District 1 of China Yiwu International Trade City which including rings, hair bonds, hair clips, necklaces, bracelets, earrings, jewelry sets.